Acknowledging you need help via anxiety therapy is the first step – it is nothing to be ashamed of, you should be congratulated in taking the first step to an anxiety free life! Anxiety can be useful in certain situations, it is is our body’s natural alert system to danger. However when anxiety sets in as our default mode and takes over our thoughts, emotions and the physical body even at rest times, it can become a problem. Does your anxiety interfere with your work or family life? Do you have fears that you know are irrational? Do you avoid panic trigger situations or activities? Do you experience sudden, unexpected panic? Do you feel something bad is always about to happen? Trouble concentrating, feeling tense, jumpy, irritable, restless? Always watching for signs of danger? Feeling like your mind goes blank with fear? During this 3 hour session, we will talk without judgement about what you are experiencing. I will tailor a solution to help you move forward right now. I will show you how to relax the mind, emotions and body. 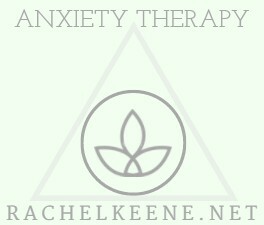 I will help you remember what it is not to feel this way…to enable you to hold onto the feeling of relaxation and confidence that we will create together in your anxiety therapy session, and help you to feel that everything can and will be ok from now on. Taking this first step toward freedom from anxiety is easy with my help. There is no overnight solution, but you will leave your anxiety therapy session feeling relaxed, with new perspective and the right tools and advice to maintain and continue the good work yourself from here on in. Follow up sessions to maintain and assess your progress are available too, I am committed to helping you to a better future, anxiety free! These sessions are one to one from 12.30 to 4.30pm (UK time) Monday to Friday in Hertford Heath or via Skype wherever you are in the world. 1. Click on the Book Now button below. Scroll down my list of services to select and book your appointment time via my online calendar (which is also confirmed by email). 2. You will then be directed to make your payment via a debit or credit card via PayPal. You do not need a PayPal account to do so. 3. I will contact you via email with contact details/directions if applicable. ***Missed appointments may be rescheduled but not refunded.